[4:06] <caoliver> Is there a wart in RasPi's SPI as used in the bcm2835 library? [4:08] <caoliver> I have an SPI device that takes 16 bit commands, and according to the mfgr's specs, commands can be chained together. I'm getting glitches unless I invoke bcm2835_spi_transfernb per byte pair. [4:09] <caoliver> Something seems buggy here. [4:09] <caoliver> Needless to say, pairwise xfer isn't as fast. [6:51] <noregret> can someone link me the fastest sd card that can be used on the pi3/p0w ? [7:14] <noregret> Codsworth: something like https://goo.gl/MQQ1m3 or https://goo.gl/DYTL5y? [8:31] <vaguerant> Probably a bit out of scope as I don't really have a broader "Pi problem", but I've noticed that since installing the custom Chromium build with Widevine by kusti8 that it's kind of hijacked ordinary Chromium. The most obvious issue I see is that if I click a web link from anywhere outside Chromium (for example, in an IRC channel, say), Chromium starts up and takes me to netflix.com, rather than to the link I clicked. [8:33] <vaguerant> I don't actually use the Pi to watch Netflix, but Widevine is useful to me for using the Spotify web player. [8:34] <vaguerant> If anyone has advice on how to can the automatic redirect to Netflix, I'd appreciate it. [8:37] <vaguerant> I will note that I can start Chromium normally without issue, that is, either from Internet > Chromium Web Browser in the Menu, or by clicking the "Web Browser" shortcut in PIXEL which launches the default browser. [8:41] <xacktm> so.. do you have two versions of chromium? [8:41] <xacktm> how does clicking on a link initiate the browser? xdg-open? [8:55] <vaguerant> xacktm: Just one version of Chromium, although kusti8's deb also installs "Netflix-Launcher", a .desktop file which execs chromium-browser with an argument to force the user agent to something Netflix accepts and opens to Netflix. [8:55] <vaguerant> I'm not knowledgeable enough to say how clicking links opens the browser, will try your suggestions. [8:56] <vaguerant> xdg-open "$URL" launches the URL I expect, not Netflix. [8:57] <vaguerant> chromium-browser "$URL" also works as should be expected. [9:00] <vaguerant> So it definitely seems like somehow HexChat is launching via this or something similar. [9:00] <vaguerant> It's not just HexChat though. [9:00] <xacktm> if you already have a browser open, does it still open netflix in a new tab? [9:01] <vaguerant> Another case is like Menu > Preferences > Print Settings, Help > About > Website, Netflix. [9:01] <vaguerant> Yeah, Netflix in a new tab. [9:04] <vaguerant> Current 'best' version is '/usr/bin/chromium-browser'. [9:04] <vaguerant> Nothing weird looking there. [9:06] <xacktm> is there like a desktop 'default browser' setting or something? [9:07] <vaguerant> No GUI setting that I've been able to find, but probably in a config file somewhere. [9:29] <Lartza> vaguerant, Are you just using PIXEL? [9:48] <vaguerant> My defaults for a ton of mime-types seem to be all messed up. [11:12] <ShorTie> li needs to read the rules !! [11:19] <vaguerant> Short version: the netflix-launcher.desktop included associations with a bunch of MIME-types, which is silly because it's just a shortcut to Netflix, it shouldn't be handling any MIME-types. [11:20] <vaguerant> So I cleared out the MIME-types from the .desktop file and refreshed my MIME types, now everything's back to normal. [11:31] <vaguerant> Gonna head off, thanks again to xacktm and Lartza. [13:43] <Li> ShorTie: you are free to take my share of reading them. [14:09] <thebigj> to my RPI-3. [14:09] <thebigj> After installation, I am able to login to my PI using default credentials of user 'pi'. [14:10] <thebigj> and now trying to ssh from my workstation. [14:10] <thebigj> But I am unable to connect. [14:11] <thebigj> Can anyone help me to identify where the problem can be? [14:14] <boomclick> thebigj: did you confirm sshd is running, and did it ever work? even to another OS on the pi? [14:17] <thebigj> boomclick: I did "sudo ps -aux | grep sshd" and it is showing one entry. I am assuming sshd is running. [14:17] <thebigj> boomclick: I should not assume. Sorry. How can I confirm that sshd is running at PI? [14:27] <Alexander-47u> how would one go about soldering a sensor to a raspberry pi zero? [14:27] <thebigj> mlelstv: I tried commands suggest by you. Stil unable to connect. [14:34] <thebigj> mfa298: How can I check the logs? [14:37] <Alexander-47u> can I just solder male dupont cables to the pi zero? [14:39] <Alexander-47u> or am i being silly? [14:50] <thebigj> mfa298: It is telling "error: key_load_public: invalid format"
[14:50] <thebigj> mfa298: And then "error: Cloud not load host key: /etc/ssh/ssh_host_ed25519_key"
[14:53] <mfa298> Alexander-47u: I'd probably start by soldering to the resistor and sensor, then if you're happy with the results do the pi end. [15:35] <g105b> Just remember, if it smells like bacon, you're holding the soldering iron wrong. 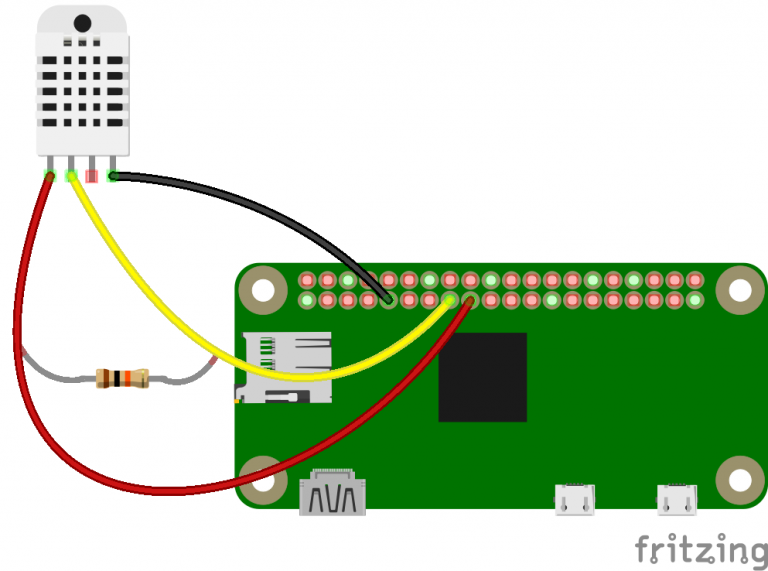 [16:54] <Li> is there smaller than pi zero verson of raspberry? [17:16] <mlelstv> nanopi neo is 40x40. But it's not an rpi. [18:11] <Li> then what is the smallest size and strongest performance possible board to run linux distro? [18:12] <Li> anything smaller than 35 x 35 mm? [18:57] <g105b> I've got some, they're cool and useful. [18:58] <Li> g105b: did you try them with usb camrea? [18:58] <Li> possible to use them to stream video online? [18:58] <g105b> Nope, serial connections. [18:58] <g105b> Yeah they come with a camera module. [18:58] <g105b> I haven't tried the camera yet. [19:00] <Li> does anyone knows the best scenario to go about developing a webapp that controls light and camera connected to remote linux board like rpi or vocore? [19:23] <gordonDrogon> the thing to recognise is that php is run as the web-server owner. ie. www-data in the case of the standard debian (& raspbian) install. [20:03] <davemacdo> Hello all. I was wondering if anybody would have the time to help me figure out how to stream my Raspbian desktop and audio to YouTube. I've found lots of resources online for webcams and external audio, but only a few mentions of what I'm trying to do with very little explanation. [20:03] <davemacdo> I'm not familiar. I was trying to do it with ffmpeg. [20:05] <davemacdo> I would like to stay in Raspbian if possible. [20:06] <davemacdo> I'm reading a forum post from October stating that OBS Linux is only available for x86. [20:06] <orb> it seems weird you would just recommend obs when you have no idea if it would work on the pi. [20:09] <orb> but he was wanting to stream his raspbian desktop. [20:09] <davemacdo> I'm trying specifically to stream Raspbian's desktop for a long time. [20:09] <orb> in theory, you could vnc to it, from something else, which can run OBS. [20:10] <davemacdo> The point of doing this on the Pi is that I can't devote another machine to it. [20:10] <davemacdo> I want this thing to run more-or-less 24/7. I can script restarts as YouTube requires. [20:11] <orb> what kind of thing will you be doing? just curious. [20:11] <davemacdo> It's for an online art installation. [20:11] <davemacdo> I don't think that's the case. [20:12] <davemacdo> ffmpeg can stream directly to YouTube. [20:12] <davemacdo> Good idea. I didn't know about #ffmpeg. [20:14] <davemacdo> That's literally the only thing the pi will be doing. [20:16] <davemacdo> I think you may be wrong about that. [20:23] <orb> ok, i have a question, somewhat related to this ... how would i go about using ffmpeg to stream from a webcam to youtube? [20:23] <orb> it doesn't have to be pi. [20:25] <davemacdo> Orb, if you google that, you'll find a boatload of tutorials. I know because it's all that comes up when I search for stuff about streaming the desktop. [20:43] <Li> what kind of logic/code should be written on the pi to go offer itself availability for the wesbsite? [21:25] <mk-fg> Why and lol because ubuntu and/or mate are cpu/memory hogs? [22:01] <mfa298> hopefully a silly question, but which model of Pi are you using ? [22:07] <mfa298> I think some people have had odd issues with some media, so possibly worth trying a different usb device just in case. [22:07] <mk-fg> All rpi3 board revisions support usb boot, right? [22:12] <Nauti> I really can't decide what solution to go for. I'm making a greenhouse automation system for my father and it'd be so nice to be able to monitor and control everything online, but I don't want the system do be dependent upon cloud services. Is there anything that is running locally but can be broadcasted online when there's Internet access, but still functions properly when there's no Internet access? [22:14] <mk-fg> Nauti, Maybe something like https://github.com/kizniche/Mycodo/ ? [22:21] <Nauti> mk-fg: that looks great! [22:35] <gordonDrogon> yea? If only I were interested in code club, ah well. [22:38] <gordonDrogon> wheezy still runs most stuff just fine. I have a few Pi's still running it. just apt-get update/upgrade them to get the latest patches. [22:41] <gordonDrogon> do't upgrade, just update. [22:41] <gordonDrogon> so apt-get update then apt-get upgrade - this will update the exiting distro, not take it to the next distro.